Learning how to wash clothes is the next step in the how to do laundry series. Washing clothes is what most people immediately think of when they think of doing laundry. It is, at once, both the easiest and the hardest step in the cycle of laundry -- depending on how complicated you want to make it. The reason washing clothes is the easiest step is that it takes so little of your actual time. You can just turn some knobs on the washing machine, dump in some detergent, and dirty clothes, and then walk away. Then, after the washing machine is finished all you have to do is take it out. That's not so hard, right? Well . . . while all that is true, let's not be too hasty. The reason that figuring out how to wash clothes is also the hardest step in the laundry cycle is because this modern world also gives us lots of choices, which can make things really complicated if we let them be. Types of fabrics, such as cotton, wool, polyester, rayon, etc. Can you wash it or is it dry clean only? Further, is it so dirty that it must be disinfected? To presoak or not presoak? If machine washing, what setting - regular, permanent press, delicate, etc. What is too small of a load for everything to agitate properly and get clean versus when have you stuffed the washing machine too full? OK, now that you have all these questions raised don't panic. Washing clothes doesn't have to be this complicated when you start out. There are entire books written on the subject of how to do laundry, with chapters and chapters devoted to how to wash clothes, including all the topics listed above (and more). When you have things more under control in your house you can read some of them. My favorite laundry how to book is Laundry: The Home Comforts Book of Caring for Clothes and Linens , by Cheryl Mendelson. However, you do not need an in-depth knowledge of how to wash clothes to get laundry washed in your household. Remember what I said above, about just turning knobs, adding detergent, dumping in clothes, and then walking away from the washing machine? That is about all you need to know at first. In fact, you can train a child of approximately 10 years old how to wash clothes. In Part 3 of the How to Do Laundry Series - Use a Laundry Sorter, you learned how to sort dirty laundry so that everything in that bag of the laundry sorter could be washed together in the washing machine. You also learned that once the bag was pleasantly full (not stuffed to the gills) there was enough dirty clothes in there to start a load of washing. After finishing the sorting step, you are almost ready to dump in that load of clothes from your laundry sorter bag into the washing machine. Of course, when you sorted you also checked each article of clothing for laundry stains, and pretreated, right? If you did not do this already, you can do it next to the washing machine as you add in the clothes. In fact, depending on the layout of your home it might be easier for you to pretreat right next to the washing machine because this is where you also should create your laundry center. The laundry center is where all your normal laundry supplies, including pretreaters, detergents, and other laundry additives, should be gathered and stored. Again, there is lots of information and hype about what is the best detergent, and whether to use bleach or rinse with vinegar, and lots of other similar topics. Don't worry about these details while you are learning how to wash clothes. Don't get lost in the trees here -- you need to keep the forest in mind. You want clean clothes. The laundry supplies you have on hand, that you have already been using, will work well enough for now. Choose a temperature setting for the water in the washing machine. Some people swear by washing everything in cold water. 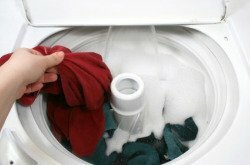 There are some advantages to using cold water for your laundry and clothing, such as being better for your budget, the environment, and because it creates less fading and wear and tear on fabric. On the other hand, I have experienced that clothes do not get as clean when they are washed in cold water. In addition, the warmer the water the easier it is to reduce allergens and disinfect the laundry and clothing. My personal vote for washing clothes is in as hot of water as they can stand. My reason is that my kids are tough on their clothes and washing in hot water gets them much cleaner. However, that is something each household manager must decide for him or herself. For the same reason as above, that my kids are tough on their clothes and get them pretty dirty, I suggest washing your household's clothes on the most heavy duty setting they can stand. This causes more wear and tear on the clothes, which you should definitely keep in mind, but it also cleans them a lot better. However, if the clothes in your household are not generally heavily soiled a shorter setting, such as permanent press, with less agitation and spinning, will be better for you. This will keep your clothes from wearing out as quickly. Personal factors such as this are why there are not more hard and fast rules for everyone to follow when it comes to how to wash clothes. Similarly, the amount of detergent you should use when washing clothes is very dependent on what washing machine you are using, along with the size of the load and how dirty the clothes are. 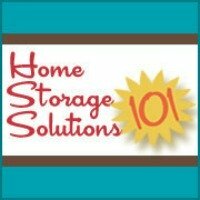 It is also dependent on whether you have hard or soft water. Look at your washing machine manual for more details on this, because most manuals address each of these factors, and tell you what is best to do for your particular machine. If you can't find your washing machine manual you can rely on the shorter version that many times is printed on the washing machine itself, or you can search on the internet for your model's manual, because lots of them are posted on there now. Now you know the easy version of how to wash clothes. You don't need to get more complicated then that right now. Master the basics first on how to wash clothes. Just a few other pieces of advice, though, from someone who has lived and learned, sometimes the hard way, sometimes through others experiences. First, when your clothes are finished washing promptly take them out of the washer. At best you will have to rewash the entire load if this happens. At worst, you can permanently damage your clothing either with mildew spots and/or with a pungent mildew odor. Also, once mildew starts to grow in your washing machine it is difficult to get rid of, and can cause a funky washing machine smell. So save yourself a lot of time and hassle, and potentially money, by taking out the wash promptly. For the same reason, I strongly recommend that you do not start your washing in the morning before leaving for work. Besides the possibility of mildew growing on the wet clothes while you work, the washing machine could also flood your laundry room while you are not there, making the flooding even worse that it otherwise would be. Fortunately this has not happened to me, but it sure would be horrible, so I don't do this after hearing this story. Again, save yourself time and hassle by just waiting until you get home before starting a load of laundry. Because you can sort laundry before work, it really does not take much time to start a load to wash.
For example, I generally start a load of presorted wash when I come home from work, but before my family eats dinner. I let the wash run while I'm doing something more pleasant. You can do something similar too, that works with your schedule. Now that you know how to wash clothes, it is on to the next part of the series, How To Do Laundry: How To Dry Clothes.